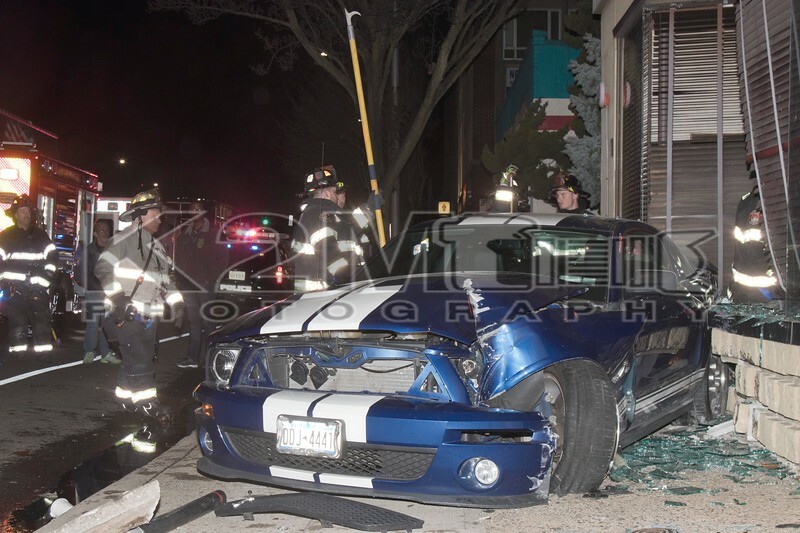 On the night of Monday, December 3rd, 2018 the Rockville Centre Fire Department was called to a car versus building at R.J. Daniels bar and grill on Sunrise Highway. When firefighters arrived on scene they were met with a confirmed car versus building and a light pole down. There was one vehicle involved in the accident with only the driver inside. There was no entrapment and the driver went on to refuse medical attention. No one inside the bar and grill was injured and all fire department units were under the command of Rockville Centre Chief of Department Brian Cook . Click here to see the rest of the images from K2M Photography’s gallery, Sunrise Highway [12-3-18].